GET READY FOR FINALS AND MAY MOVEOUT: HALLS CLOSE MAY 11. Halls close at 12 noon on Saturday, May 11. Check May Moveout Details for all you need to know. Good luck as you wrap up the year! More than 5,800 students live on campus—most in one of our 10 interest-oriented Learning Communities. All of our halls support academic success as well as social growth and greater connection. We offer an assortment of single, double, and triple-occupancy rooms arranged in corridor, suite, and private-style living. 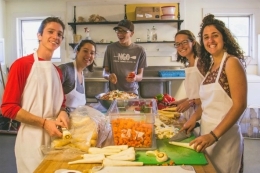 All complexes have study spaces, lounges, and kitchenettes where residents can collaborate on class projects, gather for residential programs, or prepare and share a meal together. 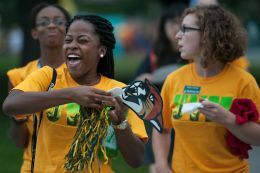 Our residence halls play a central role in building community at UVM. Our dedicated and trained professional staff and faculty partners look forward to working with students to develop meaningful relationships and explore new perspectives. ResLife Service Desk is where you can search our website and take care of your housing-related business.